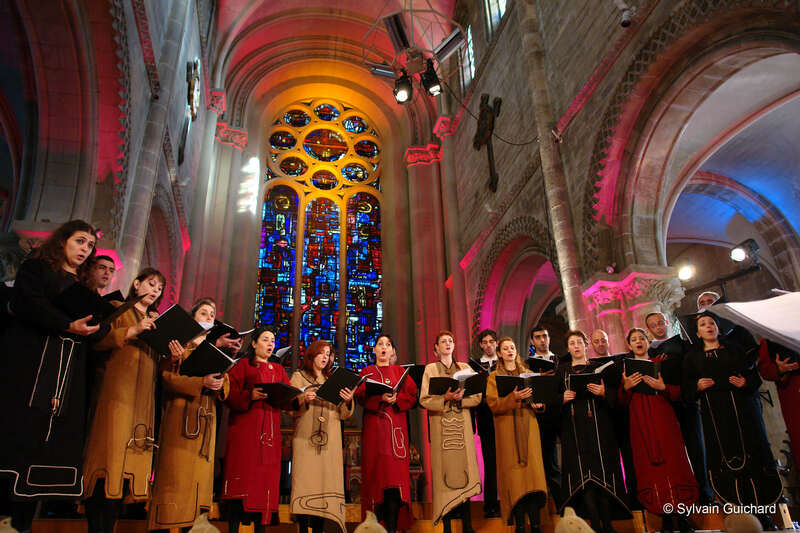 An international choral event to extol the values of solidarity, peace and understanding! Since 1990 thousands of choirs have been joining in the celebration of World Choral Day on or around the 2nd Sunday of December. 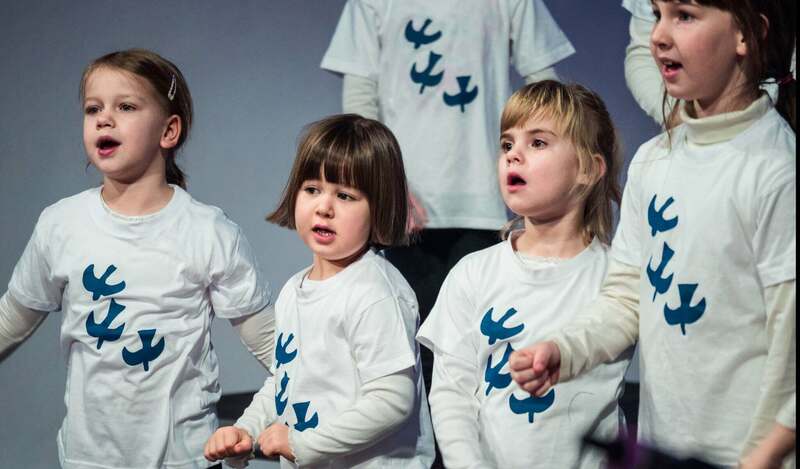 Millions of singers across the globe have been involved in World Choral Day concerts, festivals, sing-alongs, choral seminars, days of friendship and other events. November 11th in 1918 marks the official end of World War I, the “Big War” that by its massive demolition and destruction created an irreversible negative impact on mankind’s mind in terms of hope and trust in humanity. As this particular date stands very close to World Choral Day on the 2nd Sunday of December, there is a remarkable opportunity to propose a long and globally visible commemoration by starting the series of singing events on November 11th and continue organising them until December 16th, the third Sunday of December 2018. 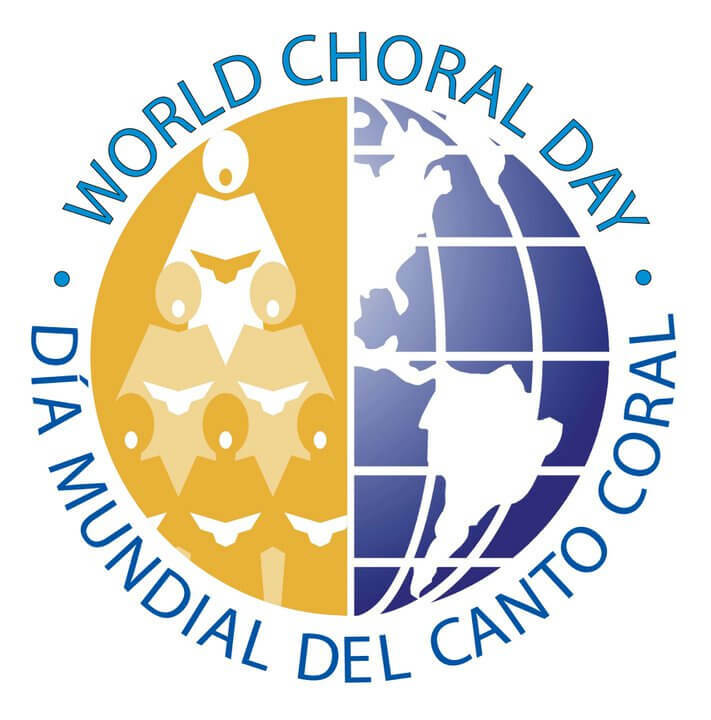 All participating choirs register their concerts/events on www.worldchoralday.org and download the proclamation that is given in 27 languages. This proclamation shall be announced at the beginning of every event. After the concert, participating choirs will be kindly requested to send materials (photo, video) to the site for a greater visibility of the cause and as well as for a better appearance of their event on a global level. Each participant is given a diploma for contributing to the common goal. In the recent years thousands events have taken place in about 50 countries with over 100,000 singers, spreading the proclamation to their audiences. Join the VoxPopuli virtual choir, an extraordinary opportunity for all singers from around the world. This virtual choir will be presented in collaboration with an initative honoring the founder of the World Choral Day, Maestro Alberto Grau. IFCM is the proud collaborator of a global initiative connected to the 2018 celebration of the World Choral Day (http://worldchoralday.org/). 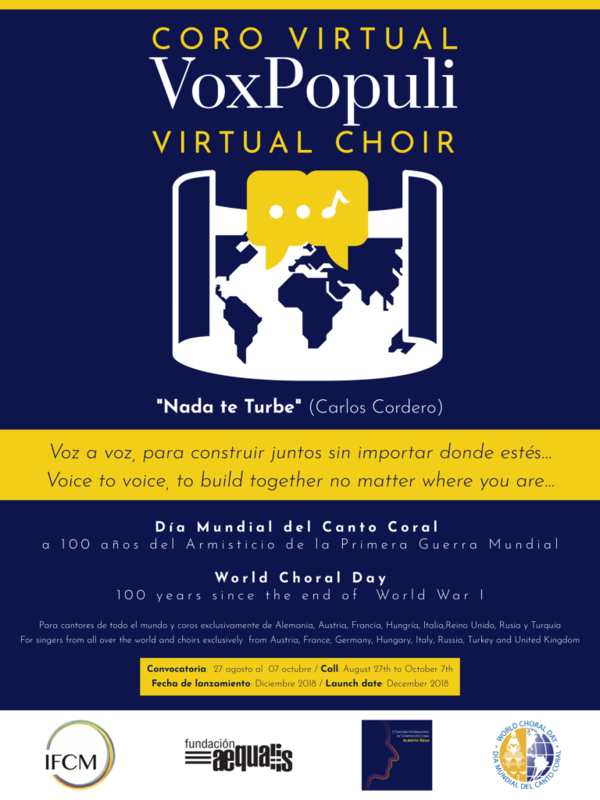 As a commemoration of the end of World War I (WWI), IFCM and Fundación Aequalis invite all singers from all over the world to be a part of the VoxPopuli Virtual Choir; which will perform the winning composition of the 2018 “Concurso Internacional de Composición Coral Alberto Grau” (“Alberto Grau” International Choral Composition Competition, https://www.ciccag.org/en/ ) entitled “Nada Te Turbe” by Carlos Alberto Cordero. As a statement of global peace and unity, the first and last sections of this composition will be performed by individual singers from all around the world. Singers interested in participating in this global event will need to submit individual recordings by October 19th, 2018. For more information, please visit https://www.ciccag.org/en/virtual-choir-voxpopuli/.